The two year wait to see Sony's Home world will be over tomorrow, as the Japanese company plans to unveil the service as an open beta. It will be available as a free download to all PS3 owners, allowing them to use a 3D gaming space and interact with friends and other players. This means you (or more specifically, your avatar) will be able to wander the world in real time, talk through text and voice, and play mini games and special events. It also means that putting together multiplayer games will be a whole lot easier too, as there will be themed 'game environments', such as Motorstorm, and SOCOM. 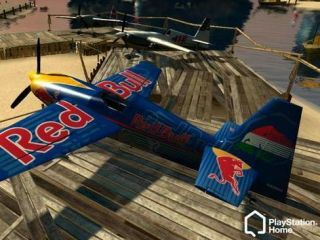 A Red Bull island will be among the first partnership offerings in the space, where users will be able to interact with the Red Bull Air Race. "PlayStation Home is truly a promising network community service," said Kazuo Hirai, President of Sony Computer Entertainment. "We are committed to providing PS3 users with exciting gaming experiences with PlayStation Home and together with our partners and users, expand the new world of interactive entertainment as we move forward." The launch of the service has been coming for some time, after the launch slated for 2007 was pushed back until 2008... so Sony was clearly struggling to even meet that date.